Building your own worm farm will not only serve to quickly reduce your household food waste, but will also produce beneficial worm compost (‘vermicompost’) and liquid feed for your garden or allotment. Worm farms are a great way to introduce children to some natural science basics. Hands-on experience is one of the most useful ways to effectively explain and learn new ideas and foster interest. Children can indulge their interest by helping to create a worm farm with see-through sides; this allows them to follow the activities of the worms. There are many different ways to make a worm farm, however, before you start building it’s important to understand the preferred habitat of worms. This will help to ensure that your worm farm thrives! Worms need warm, continually moist and dark conditions to survive and thrive. By keeping them warm over winter, in a garage or shed, you’ll also help to maintain their activity through the otherwise cooler months. Worms will easily turn your cardboard, food scraps and garden waste into gorgeously rich compost. However, they do have preferences! Try to avoid putting citrus peelings into your worm farm. Likewise, worms will not be able to tackle large bones or chunks of meat and fish. It’s also worth noting that they’ll overlook strong flavoured food scraps such as onions in favour of other kitchen and vegetable scraps. They’ll also happily compost natural materials such as hair, wool, and eggshells. Different types of worms will serve different purposes. Earthworms seek darkness, and will burrow down through your worm farm. 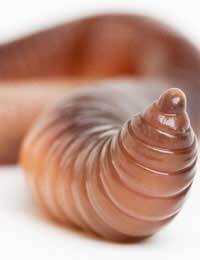 Tiger worms, however, are more suited to worm farms, as they’re prolific and will naturally be attracted to the kitchen scraps in your worm farm. You can buy live tiger worms to start off your worm farm colony. If your worm farm is more functional than educational, you can opt to construct it using a black plastic bin with a lid. Try to opt for a shallow bin or container if possible. Simply drill quite a few holes around the top to allow air in – circulating air is vital. You’ll also need to drill out a hole for the hose tap, to allow you to siphon off your compost liquid feed. It should be placed near to the bottom of the bin where the liquid will naturally collect. You’ll need to regularly drain your worm farm to ensure that the worms don’t drown. When feeding to your plants, the rich liquid feed can be mixed with water at a ratio of 1:10. The next step is to create a relatively dry bottom layer to your worm farm. This can be moistened newspaper covered with a layer of sand and/or fine gravel or twigs. You will then need to create the bedding layer. This should be easily compostable matter, such as moist dead leaves, manure, straw and suchlike. You can mix in extra strips of newspaper and soil to add ‘body’ to the compost mixture, making sure that it isn’t too dry. It’s at this point that you can add your tiger worms. Make sure that you also have your first ‘food’ batch ready, by emptying any vegetable peelings, garden waste material such as grass clippings or weeds. This should be buried into the top of the bedding layer. You can then place a piece of soaked cardboard over the top, and place the lid on the bin. The worm farm should then be placed in a shady spot to ensure that it doesn’t dry out easily, and remains undisturbed. If you want to get your kids involved in creating and maintaining your worm farm, you can scale down the operation and substitute the black bin for a large clear plastic bottle. The lid can be a piece of secured cardboard with holes punched in, or a piece of breathable material fixed with clips or a rubber band. Remember to ensure that the worms have enough air circulating throughout the mini worm farm! Whatever the size of your worm farm, you’ll need to regularly top up the food matter that you add, making sure to bury it into the bedding matter. This ensures that your worms have a plentiful supply of food – remember that eventually they’ll breed and after a few months, your colony will have grown considerably. In my experience (and I have a thriving colony of tiger worms in my compost), egg shells (even when crunched up) don't get touched - they still come out the bottom untouched. So despite what this article says I no longer try to compost egg shells.